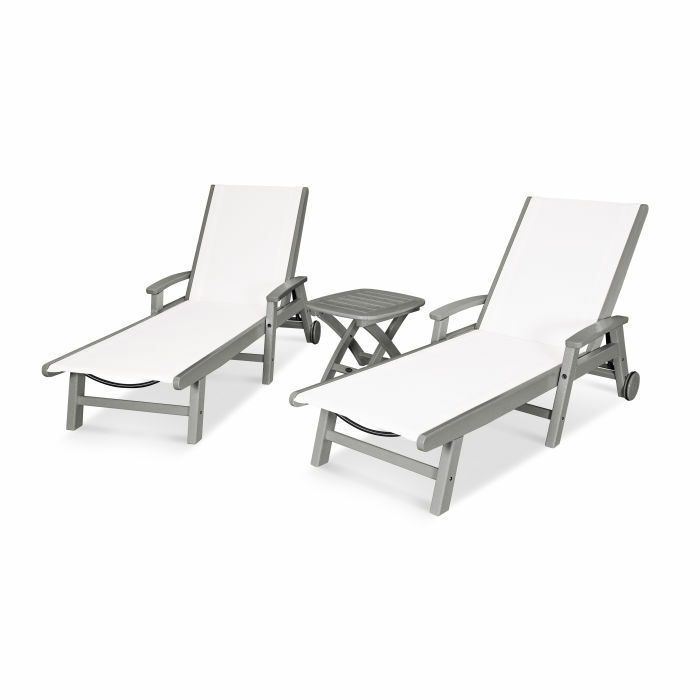 Lie back and relax in the Coastal 3-Piece Chaise with Wheels Set featuring all-weather fabric sling for comfort, wheels to conveniently move your chaise lounges with ease, and a side table to rest your drinks. Lie back and relax in the Coastal 3-Piece Chaise with Wheels Set, fitted with a breathable fabric sling for optimal comfort. Conveniently equipped with wheels, you can easily move your all-weather chaise lounges to wherever the sun takes you, and the coordinating side table is the perfect place to set your drinks. Whether poolside or on your patio or deck, this set will look great for many years to come.